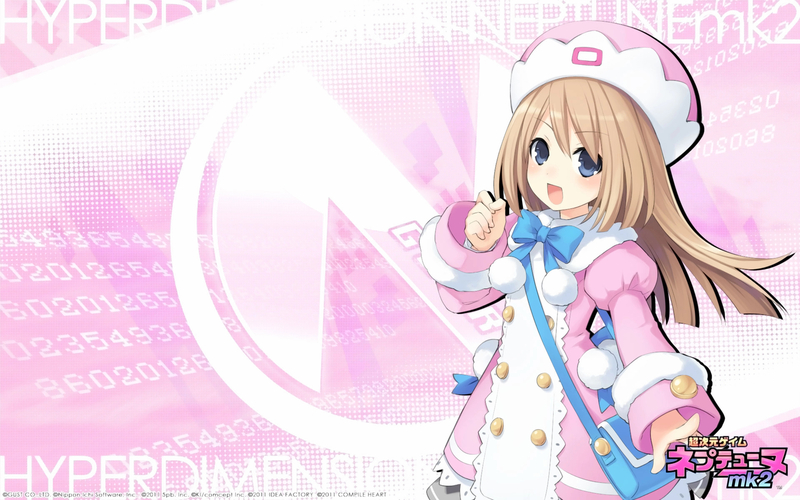 Rom and Ram were introduced to the series in Hyperdimention Neptunia Mk2/Re;Birth 2 as Blanc’s younger twin sisters. 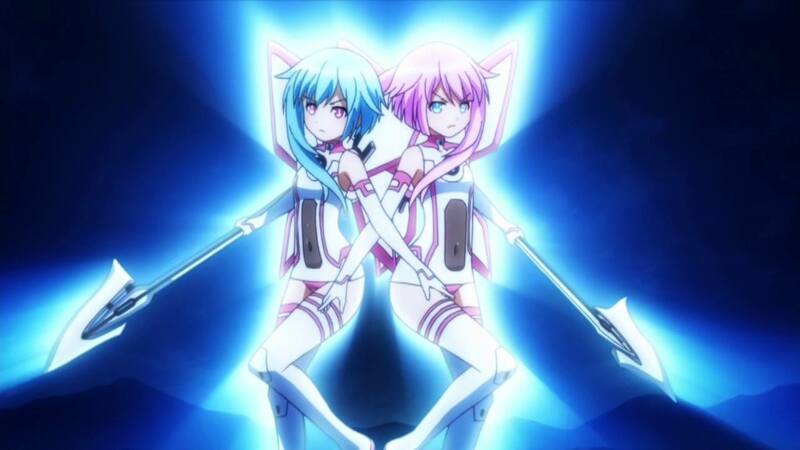 Rom and Ram represent two different sides of Blanc’s double personality. We’ll unpack that info further on, so it makes them seem like the only thing they have in common is their appearance. However, they both strive to be supportive to their friends while gaining the love of their older sister, Blanc, and being an invaluable member of the group. Both girls can be broken down separately, so we’ll start with the more dominant of the twins, Ram. Ram, whose hair is longer and often seen in pink, comes off as the protective sister and always attempts to make the choices for her twin. Her short fuse and bad attitude makes her mostly resemble Blanc’s aggressiveness when she loses control. There is never really a time when Ram doesn’t have something to say and it’s usually a sarcastic remark to something Neptune says, making her seem arrogant and showing her as one of the youngest members of the group. She wields a Dogoo Pencil that seems to mirror a Nintendo DS stylus and incorporates black magic into her attacks. When transformed into her HDD form her body or personalty don’t change as dramatically as Neptune’s, much the same as for her sister Rom. Ram displays a lot of strength during tough situations, but she is just as afraid and nervous about going into tough battles as everyone else. Her courage is needed by her sister Rom, who relies heavily on it when facing certain situations. 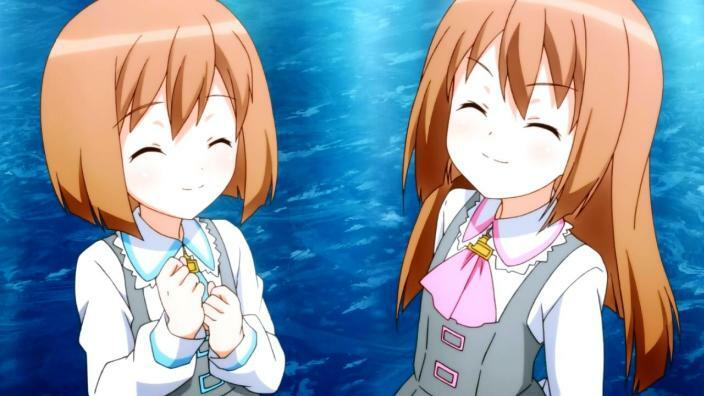 Rom, whose hair is shorter and often seen in blue, comes off as shy and more friendly than her sister, and she mostly resembles Blanc’s appearance and reflects her calm state. She allows her sister to get away with making choices, and I don’t think she is confident in her own strength. Her weapon is a Die Pencil and she incorporates white magic into her attacks. Rom is desperately needed by her sister in order to balance out Ram’s impatient and often impulsive actions. Rom never leaves Ram’s side and will always do anything she can to protect her sister and her friends. Both twins represent the Nintedo DS. If you view them from the top and put the symbols of their hats together it will display the Nintendo DS logo. Their character design is based off of Popo and Nana from the popular Nintendo game, Ice Climbers. Rom and Ram are very well needed characters in the series as they keep Blanc busy and force her to become closer to the rest of goddess when I’m sure she’d rather be alone and spiteful. We can look forward to Rom and Ram in all planned Hyperdimention Neptunia games planned so far, as they add character and fun to the group of goddess.